▲ Photo 1: Dr. SHIN Hee-Sup, Director of the IBS Center for Cognition and Sociality. Dr. SHIN Hee-Sup, Director of the IBS Center for Cognition and Sociality, has been named a Fellow of the American Association for the Advancement of Science (AAAS). Being elected as an AAAS Fellow is an honor bestowed upon AAAS members by their peers. Director Shin is among a group of 416 new AAAS Fellows in recognition of their scientifically or socially distinguished efforts to advance science. This year’s fellows will be honored at a ceremony on February 16, 2019, at the AAAS Annual Meeting in Washington, D.C. 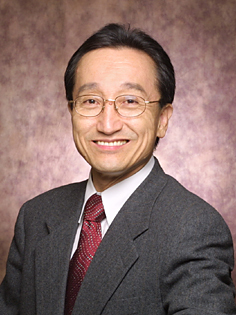 Within the field of neuroscience, Director Shin has been recognized for his "distinguished contributions to the field of behavioral neuroscience, particularly our understanding of calcium signaling in thalamo-cortical circuits and the neurobiology of social behaviors." Director Shin is one of Korea's top neuroscientists and was the first to receive the National Honor Scientist of Korea award. Having spent over 20 years exploring the mechanisms for cognition and sociality, Dr. Shin was selected as the first IBS Director of the Center for Cognition and Sociality. His research groups have published a series of outstanding research results on topics of social behaviors, brain science and the ability of empathy, and empathic behaviors. They identified a gene variant and associated neurophysiological mechanisms that control empathy-related neural circuits at a cellular and molecular level and published their findings in the journal Neuron in April 2018. Revealing genetic determinants of empathy will help provide novel targets for therapeutic intervention in mental disorders. Their 2017 Nature Communications paper found that laboratory mice prefer to establish and respect social rules that provide equal long-term rewards, rather than to compete for their own interests. In addition, Shin’s research group revealed in Neuron in 2017, that they could enhance or reduce mouse memorization skills by modulating specific synchronized brain waves during deep sleep. Their paper was spotlighted by the global scientific community as it was recommended by Faculty of 1000. This year's fellows were announced in volume 362 of Science Magazine on November 30.